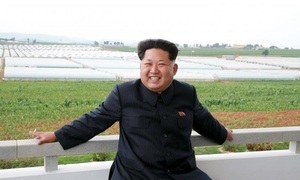 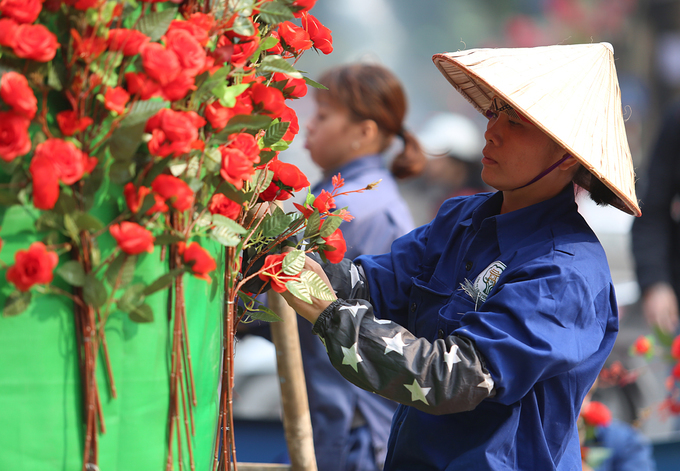 Hanoi and Saigon have brought out stylish banners and pretty flowers for the big holiday. 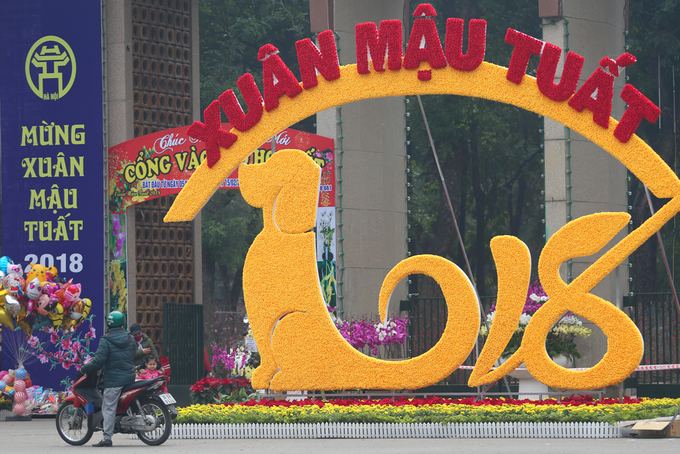 A street decoration in front of Thong Nhat Park in Hanoi says “Spring of the Dog,” with a very stylish "2018." 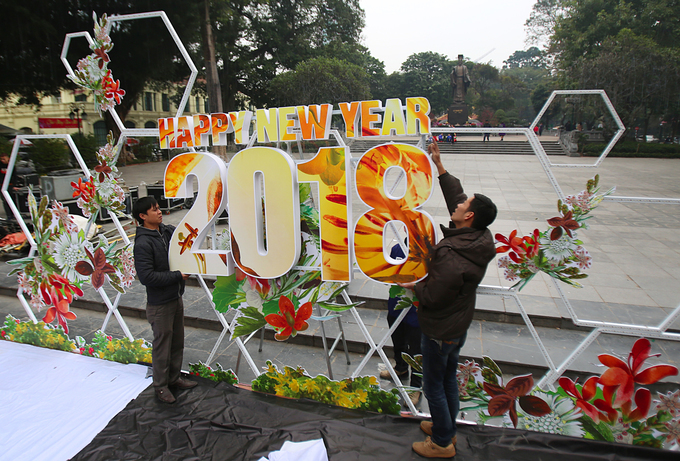 Men put up a Happy New Year banner at Ly Thai To Park in Hanoi. 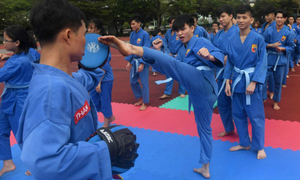 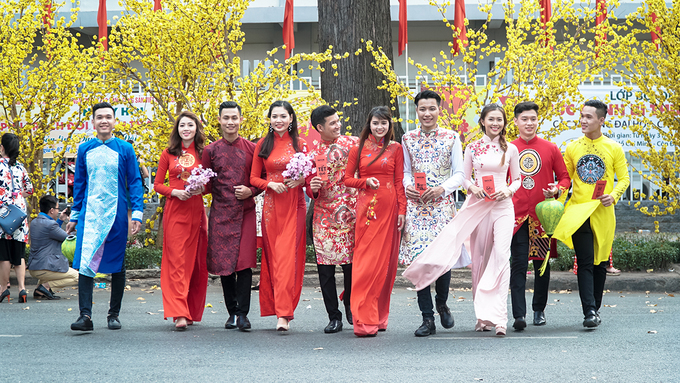 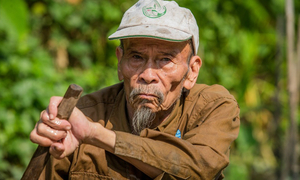 Vietnam joined the world to celebrate the start of 2018 more than a month ago, but the anticipation is high once again, or even higher, now that the country is counting down to the Lunar New Year, which begins next Friday and is known among the Vietnamese as Tet. 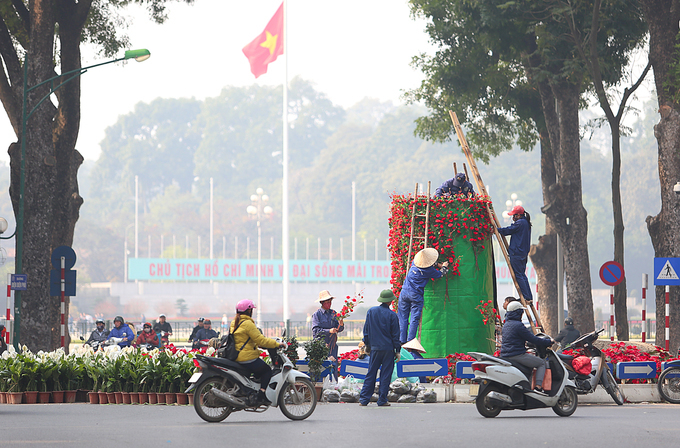 Workers build a tower of cloth flowers at a crossroad in front of Ho Chi Minh Mausoleum. 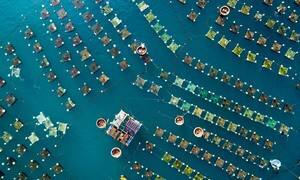 The cloth material makes sure the colors stay bright through the one-week holiday. 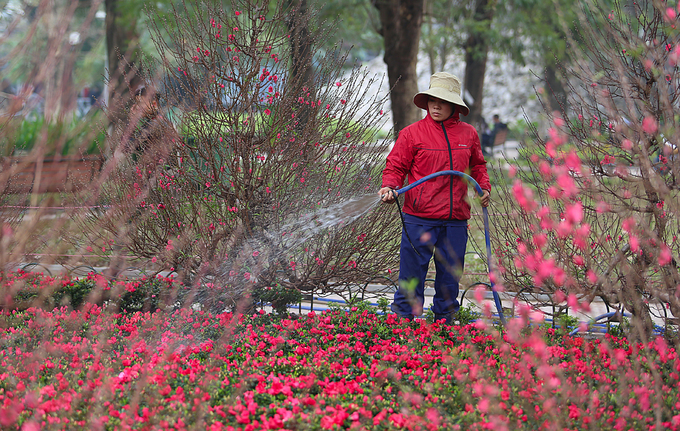 A garden of peach blossoms and other flowers on Dinh Tien Hoang Street in Hanoi receives extra care these days. 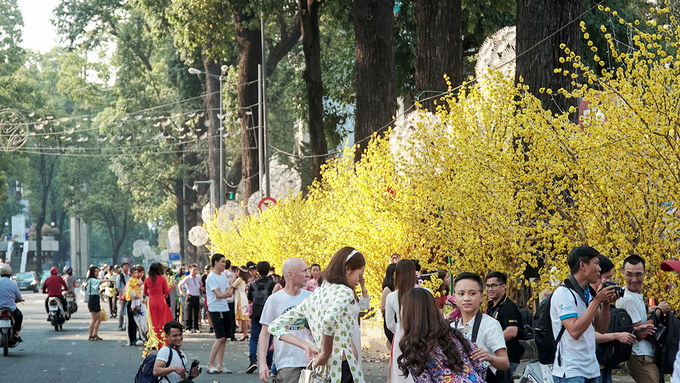 In Saigon, fake ochna trees light up a whole street corner in the downtown. 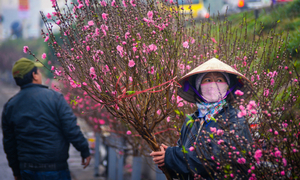 Vietnamese love to have flowers on the Lunar New Year, with peach blossoms a must in the north and bright yellow ochna the southern staple. 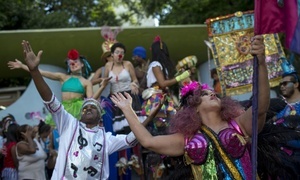 The color draws many people to come dressed up and take photos.